Talking of Stradivari cellos (see previous post), I heard Julian Lloyd Webber play the Barjansky cello in a concert at the Theatre Royal, Winchester a couple of years ago. It was an unusual programme because apart from the music, which was wonderful, it included a question and answer session. I asked Lloyd Webber why he didn’t sell his Strad and play one by a modern British maker. That would have two beneficial consequences, I suggested. 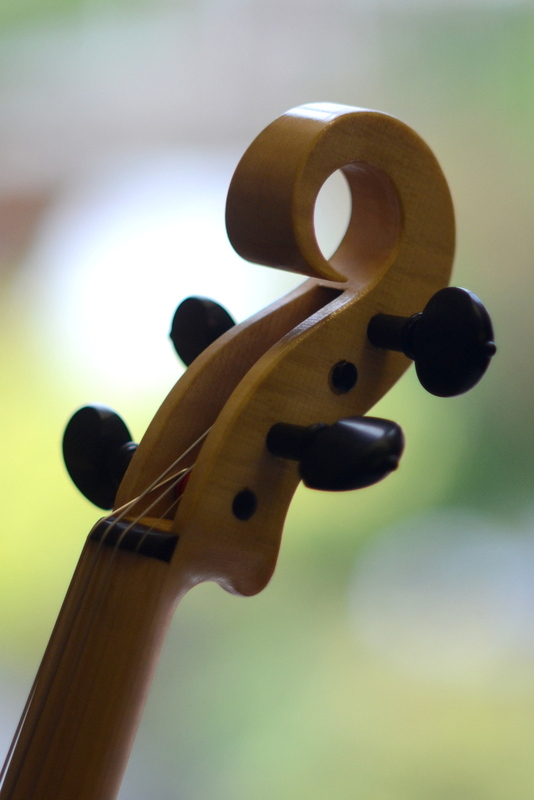 First, it would help talented young cellists to understand that they could make good music even if they didn’t have a famous Cremonese instrument to play. Second, it would be a huge encouragement to modern violin and cello makers. He responded to this potentially irritating question in a gracious way. He conceded that I had a point, but explained that he had been playing this particular cello for many years and that it had become so much a part of him as a musician that he couldn’t imagine being without it. It was easy to see the force of that argument, but I didn’t want to let him off so lightly. So I followed up by asking whether, if he were to play the Barjansky and a modern cello behind a curtain, listeners would be able to tell the difference. While Lloyd Webber thought about this, the audience answered for him. ‘Oh yes,’ several people called out before he had a chance to speak. I found this response both annoying and depressing. Annoying because it’s impossible to believe that any of the audience who seemed so certain about the superiority of the Strad had ever tested their belief in the sort of experiment that I outlined. And depressing because it reminded me of the difficulty that modern makers have in obtaining recognition of the quality of their instruments. 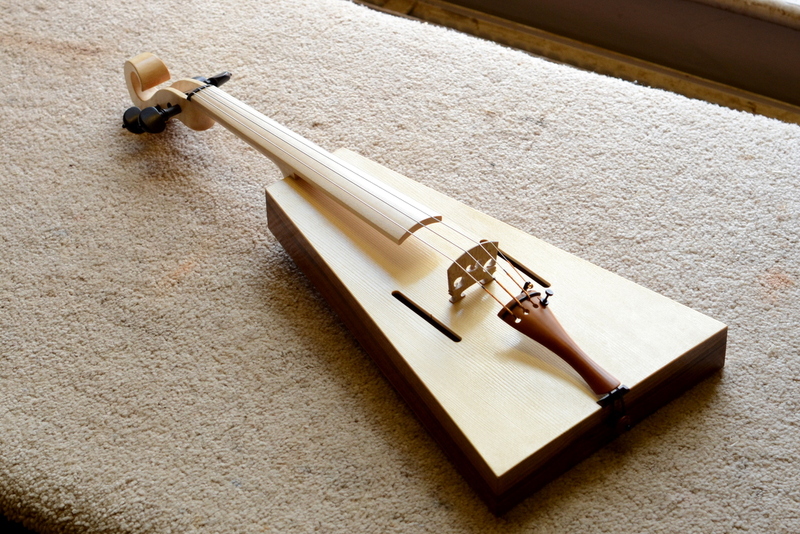 To challenge people’s assumptions about what makes a stringed instrument sound good, I made this trapezoidal fiddle. As you can see from the photographs, it bears little resemblance to the great instruments made in Italy in the 17th and 18th centuries. In fact, it’s a copy of an experimental violin invented by the french physicist Félix Savart around 1820. 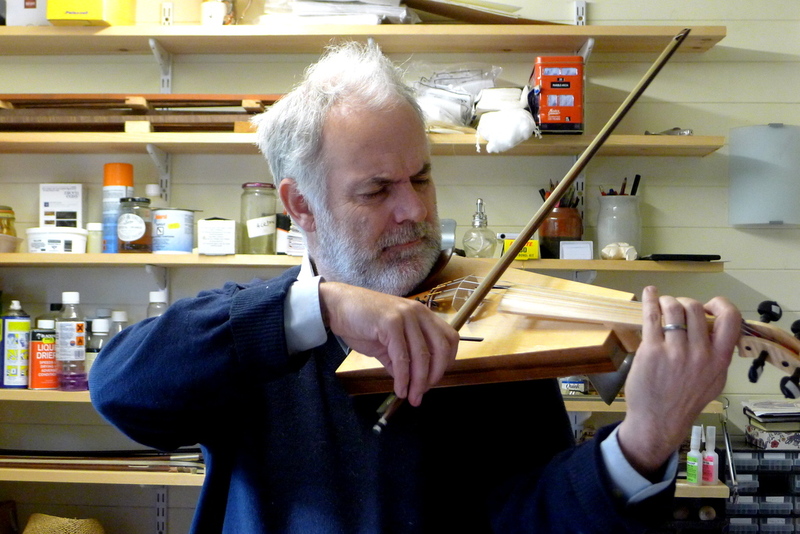 Heron Allen mentions it in Violin-Making: as it was and is. Rather more usefully, there’s a fairly recent book about its construction by Ronald Roberts (Making a simple Violin and Viola ISBN 0 7153 6964 4) which contains plans and a full set of measurements. Several violin players have been amused and interested enough to try it out and have been surprised by how well it sounds. I’ve been meaning to make a decent recording of it being played so that others can judge, but never quite got around to it. 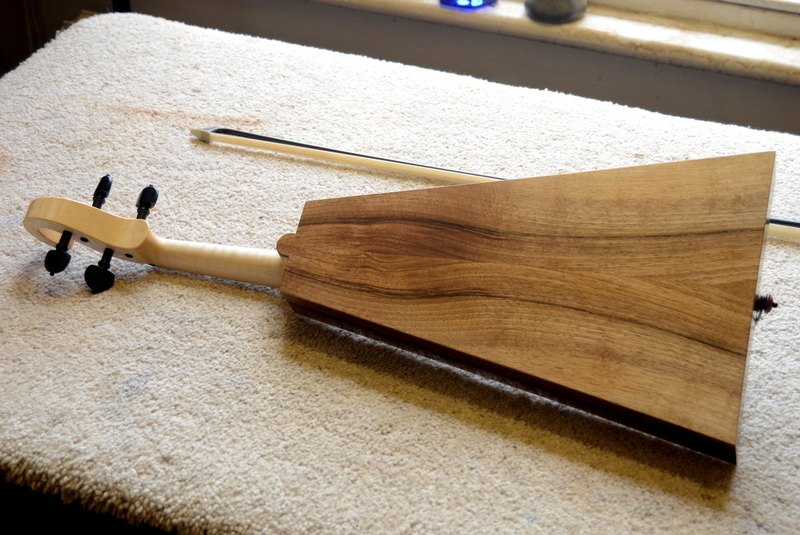 However, the other day I took it to my friend Tim Richards, who is a bowmaker in Frome. Tim says that he hardly plays these days, but I persuaded him to try it out in his workshop. As he did so, I switched on my Edirol recorder and captured a few snippets. Beyond normalising the levels, I’ve hardly done any editing and you’ll have to put up with some background noise and a bit of conversation. Now I’m not claiming for a moment that the sound made by this Savart violin is the equal of a fine traditional instrument, although I’ve heard many ‘proper’ violins that sound far worse. Nor am I saying that violin makers are wasting their time by paying so much attention to plate thicknessing, plate tuning and arching, although the fact that a flat-topped box-fiddle produces such a violin-like sound does make one wonder whether these things are as important as generally thought. What I am suggesting is that, before offering the opinion that old is better than new or that violins made by Stradivari or Guarneri sound better than those made today, it might be a good idea to ask ourselves if there’s any evidence to justify this view or whether we’re simply repeating a hoary old myth. Of course reliable evidence is hard to come by. This page on Wikipedia mentions some of the attempts to evaluate the sound quality of different violins, although many are flawed in their experimental design. If you’d like to try for yourself, click here to compare a brief passage from the Tchaikovsky violin concerto played on Stradivari violin with the same passage played on a modern instrument. But don’t congratulate yourself too heartily if you get it right; tossing a coin would give the correct result 50% of the time. We asked 21 experienced violinists to compare violins by Stradivari and Guarneri del Gesu with high-quality new instruments. The resulting preferences were based on the violinists’ individual experiences of playing the instruments under double-blind conditions in a room with relatively dry acoustics. We found that (i) the most-preferred violin was new; (ii) the least-preferred was by Stradivari; (iii) there was scant correlation between an instrument’s age and monetary value and its perceived quality; and (iv) most players seemed unable to tell whether their most-preferred instrument was new or old. They go on to say, “These results present a striking challenge to conventional wisdom”. I couldn’t agree more.